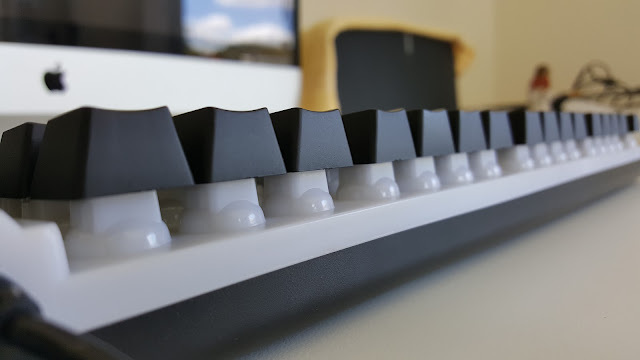 A Gamers keyboard -Yes, but the design language considered all type of users in mind. 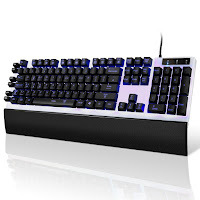 Very contemporary looking, but all the features for Gamers with additional lighting, keys and durability factor. 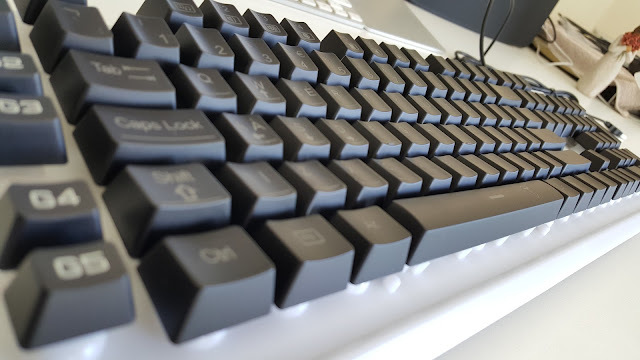 Not a Mechanical keyboard, but spring loaded mechanical feel keyboard. Keys has enough height. 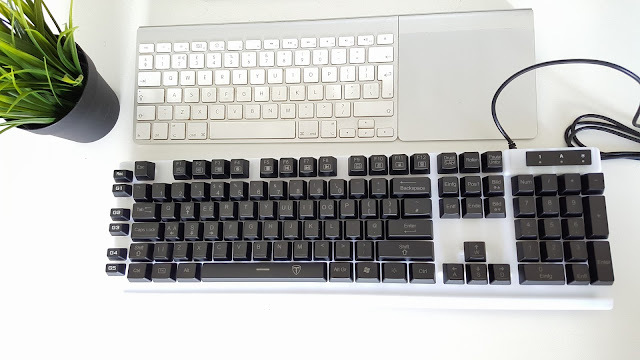 One thing I can assure you that, you can become very fast in typing if you use this keyboard and the correct fingers for each keys (follow the strict rule). Comes in the box, the keyboard and the attached (not optional as in product description) wrist pad / rest. Wrist pad can be removed by taking out to pins on both sides. Keys are very responsive and in mechanical style, definitely not the apple keyboard style touch. Backlit can be picked from any of the 7 colour choices, brightness is also controllable. 5 G-Keys are re-programmable. 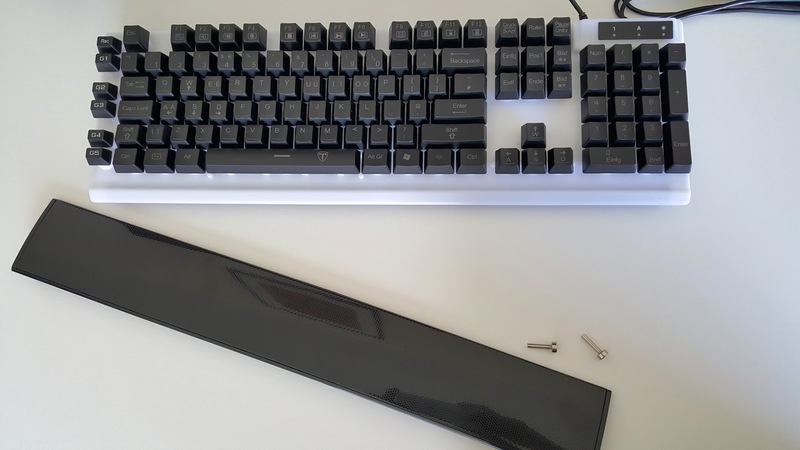 Few points to note: you may find some of the keys are labelled in German, but if you bought this keyboard- you surely know what you doing, what exactly those keys do. Also if you only like soft touch or apple stye keyboards, this is not the one you should go for. Otherwise a great keyboard with mechanical feel via spring loaded mechanism. Please do check out the pictures to see what you get and how it looks.